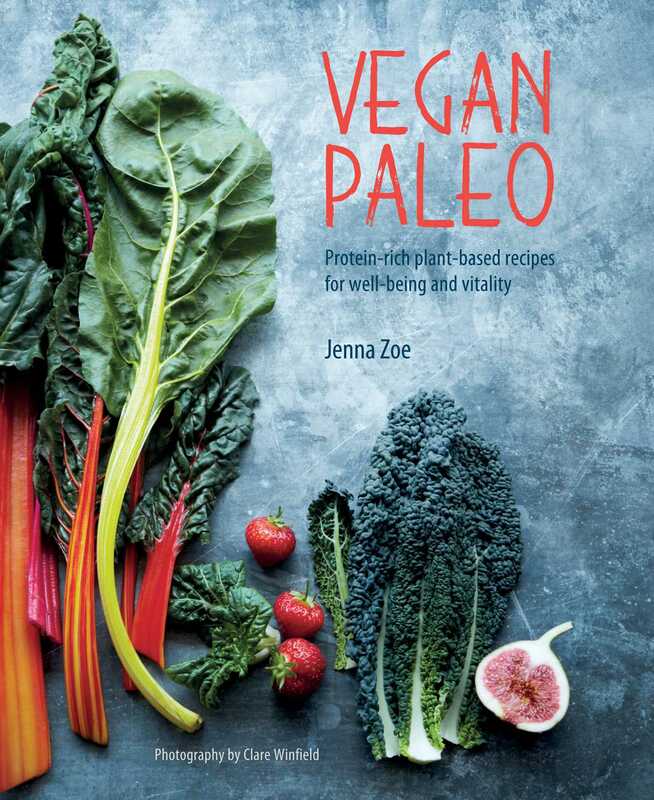 A collection of recipes tailored to suit anyone following a vegan Paleo approach to nutrition and wishing to create clean foods that the body will harness for sustenance, well-being, and vitality. Sources say that before our ancestors learned to hunt, they ate a raw diet comprised of what they could gather in the wilderness. The plant-based diet gave us everything we needed then, and it does now! Plant proteins are easier for the body to absorb than animal proteins. A plant-based diet provides 10–15% of calories from protein, a safe intake for a healthy human. When eating a raw diet, nuts, sprouts, seeds, sprouted grains and leafy greens are examples of foods that are especially protein-rich. Recommended calcium intake is more healthfully achieved by eating leafy green vegetables like kale, and other calcium rich non-dairy foods like broccoli, seaweed, sesame seeds, and sprouted quinoa. Plants absorb calcium from soil; animals eat these plants to satisfy their hunger and nutrient needs. A plant-based diet goes straight to the source for healthy, easily absorbed calcium and much more. Jenna has created recipes to be enjoyed at any time of the day. Try Hemp Tabbouleh with Mint and Pomegranate, Kale Caesar Salad, Sweet Potato Gnocchi, Portobello Pizza Caps, Mango-Avocado Rolls, Raw Vegan Taco Salad, Cauli-Pops, Eggplant ‘bacon’, Raw Pad Thai, and for a sweet tooth Homemade Coconut Yogurt. Jenna Zoe is the founder of Foods To Love, an online healthfood store selling products free from wheat, gluten, sugar, dairy, and eggs. She studied nutrition in order to heal from the inside out. Determined not to feel deprived while cleaning up her eating habits, she searched for ways to make healthy foods fun and colorful. This has resulted in her quest to 'healthify' all her favorite foods. She lives in central London.